The campus has a deep-rooted prestige as a place of teaching, learning and nurturing. Conjuring images of cloistered quadrangles, of sunny lawns, of wood-panelled libraries, it is a word viscerally charged with centuries of scholarly tradition. And yet it is also a place of cutting-edge science, vibrancy and energy. It is this dual nature, this concurrent adherence to tradition and innovation, which renders the physical environment of the university such a redolent, enduring and dynamic realm. However, it also means that the twenty-first-century campus is a highly challenging and exacting landscape to design and manage successfully. Today, the scale of the pressures and the rate of change facing higher education institutions are greater than ever. Squeezed public spending, growing societal expectations and the broadening education ambitions of developing nations are set against a backdrop of rapid technological progress and changing pedagogies. What are the repercussions for the physical realities of university planning and architecture? 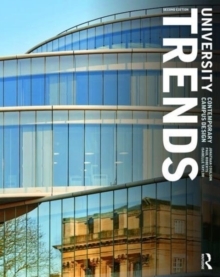 And how are university campuses adapting to contend with these pressures?University Trends: Contemporary Campus Design introduces the most significant, widespread and thought-provoking trends that are currently shaping the planning and architecture of higher education institutions across the world. 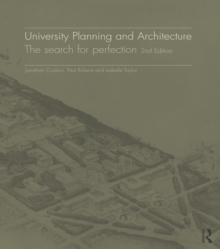 Within this completely revised second edition, Part One identifies current patterns such as hub buildings, large-scale expansions, adaptive reuse and innovation buildings. Part Two profiles these through recent, well-illustrated, global case studies. 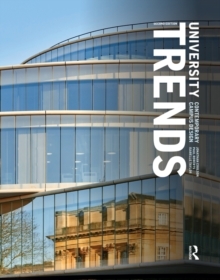 The essential guide to current and future trends in campus design.